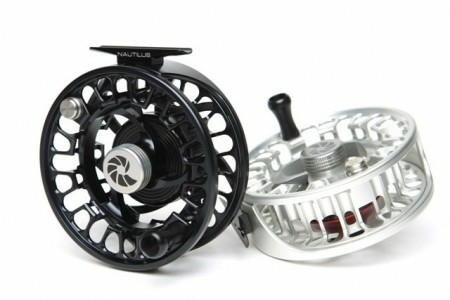 The Nautilus NV-G Fly Reel is tough to beat. 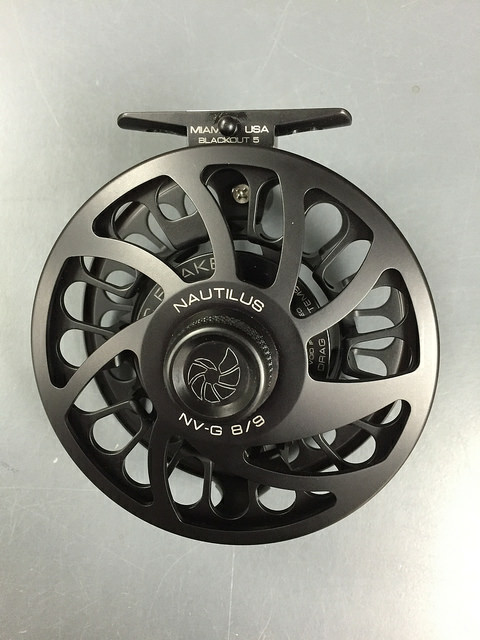 The combination of drag, design, and performance make this the ultimate reel. 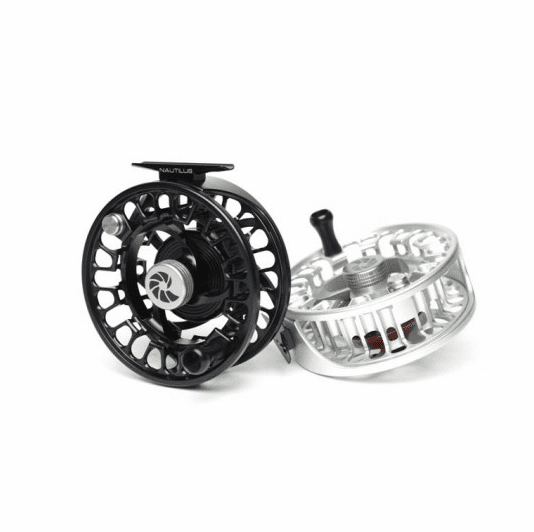 The NV-G Fly Reel features the patented and award winning NV CCF Disc Braking System. The spool design is specific to the NV-G and can be classified as an extremely large arbor that provides unmatched line pickup. This spool design also reduces reel weight immensely whilst also preventing line coiling. When we say fast line pickup, we mean it: up to 15 inches per revolution on the NV-G 10. Did you know that wet backing is the leading cause of corrosion in fly reels? Its true. So Nautilus fixed that and made sure it wouldn't corrode any of their NV-G models. Nautilus made a point of creating air space under the backing to promote drying. 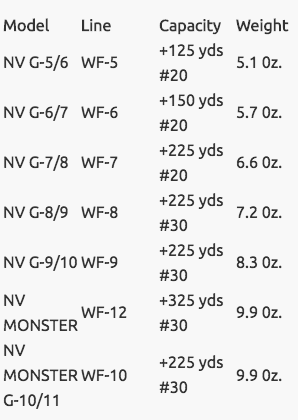 Backing on NV-G models dries 14x faster than other reels. That equates to other reels corroding 14 times faster than NV-G models. Whether its freshwater or saltwater pursuits in your future, the NV-G is seriously the best around. We have depended on this reel across the world since its debut. See the chart on the left side of this page for line weights and capacity specs for each model.